Discussion in 'E36 M3 (1995-1999)' started by Max Blast, Sep 28, 2009. 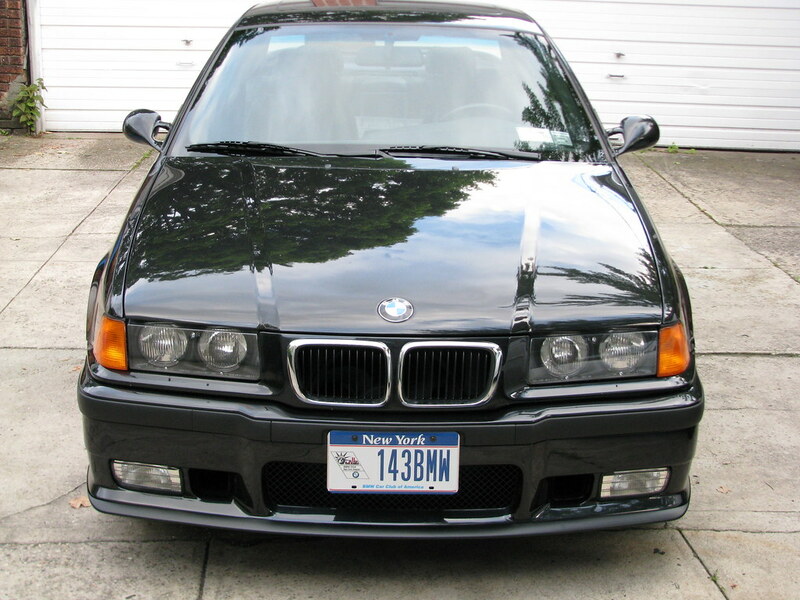 I'm lurking for a nice 1995-2003 M3 and am in like with both the E36 and the E46...but one strike against the 36 is it's lack of power compared to the euro versions. Is it a simple chip swap or are the engine internals different? If I remember correctly they have different heads among other things. Well, i have been asking that question since the day i bought my 99 e36 m3... so here are some off the stuff i know. engine in the euro is alumiun and the us is cast iron. but i must say the e36 is a different type of joy... plus the sound note is unbelievable on the e36... best thing to do is to teat drive both and see wut u like... either way u cant go worng with a BMW!!!!!!! BMW did not intend to bring the E36 M3 to the US market. A bunch of us ingrates in BMW CCA raised a big stink about that, so after a few years, the US version was developed using an engine that was already EPA certifiable for the US. Otherwise, there would have been a lot greater expense in modifying and/or getting the Euro engine certified. So the original E36 M3 in the US did not have a detuned engine, it had a different engine that didn't start with the Euro engine as a base. Nice to see that BMWCCA has that kind of pull. Now if only they listened to us about the smaller DIESELS! I don't believe this is true. Can anyone confirm? As far as I know they all have the identical M50/52 block as a starting point. Top end is different though. Well it would seem an engine swap would be the way to go, even though the car would now be "modified"
- although to a spec BMW did supply themselves. I've looked around for Euro motors and while available, a quite involved operation for someone on a budget. I'm so torn...I like that the 46 isn't dumbed down for this marked but the 36 looks much better IMHO. Why don't you just drive your car? There's nothing wrong with a US-spec E36 M3. Have you taken it to any of our driver schools? Oh totally...I'm not the proud owner of either yet. I was just wondering why the 85% solution was brought to US markets instead of the full up Euro version. I love how it looks, I'm sure it handles extremely well and I can in fact live with 240hp. I don't want to come across as one of those guys who flies off turn one in their roided up M because they never bothered to learn how the car handles. To call it "dumbed down" is unfair without a knowledge of the history of "M" in the USA. Check the price difference and then read the comparisons in the press. The US E36 M3 was praised as one of the best-handing cars of its era and performance-wise it was the equal to the Euro version in nearly every way that mattered in this country where top-speed just isn't that important. The car came in at a cost something like $15,000 less than the Euro version of which less-than fifty were imported to Canada. BMW NA targeted a $35,000 MSRP in order to make the car affordable enough to produce enough sales volume to cover the cost of a new model. Since it was essentially an 3.0-liter version of the 2.5 M50 engine in the 325i, many skeptics referred to it as the "330is". Regardless, without the support of BMW CCA and the less-costly powertrain, the U.S. would never have gotten an E36 M3 or be number-one in M-car sales for the world. Even if we all know that ever since the E30 M3 "M" has stood for Marketing, not Motorsport. That link pretty much answered any question I had about the 36. Thanks! And guys like me thank you for your stink because I am a proud owner of this great sedan! Infact, according to BMW NA this one was made the last week of the sedans. How did you find out the details of your cars production? I am interested in finding out for mine as well. Easy! Right on the door jam. Nice looking E36! I say enjoy it while ya got it! Heh... all I can say is DOH!